Not yet, but soon. Bon Voyage! It's back to Africa for the Armadillo's - this time for tarpon, kingfish and other new species cruising waters 'where the river meets the sea' around Fat Hippo's on the mouth of the Kwanza River in Angola, Africa. About six months ago Albert Rasch of The Rasch Chronicles mentioned a drawing that Noise on the Line was doing on some fishing spinners. I noticed some TRC traffic and stopped by his blog to thank him with a comment. One of his readers from Africa (Hippo) had just suggested he had use for some big spinners "where the river meets the sea". "Where the River meets the Sea" poetic, lyrical. Soothing words written in a comment by a master craftsman of prose (A Hippo on the Lawn blog). That string of words struck a chord that resonated in my imagination, "where the river meets the sea". Ensnarled in a whimsical net of words and after much thoughtful consideration, I suggested I could send him some to field test, if he was interested. How could I possibly avoid offering up a few, with thousands patiently waiting to hit water? Each chanting in storage, "Take me! Take me!" I didn't see a response, so that ended the thread for the time being and I basically back-burnered the exchange. Then recently, while driving through Iowa on a family vacation through Nebraska, Iowa, Minnesota, Wisconsin and Illinois, visiting relatives with the grand-kids, an email from Hippo (Tom) showed up at a Rest Area with data coverage. Not an ideal place or time to figure out specifics and global logistics, so we just exchanged a few emails to set the stage. Here we are, dreaming adventure to make it real. Back in Colorado - I've painted, assembled and packaged a pride of lovely skirted Armadillo's. Each ready to shake its' skirt and dance the hoochie coochie in the Kwanza river delta. I think the show's going to get noticed; to the excitement of the anglers, the boat captain, Tarpon and other large predatory fish as well. 75-90 gram Double Bite Skirted Armadillo's - Bon Voyage! Happy as a clam with US sales, I've been spoiled by the USPS and it's devotion to mail delivery. 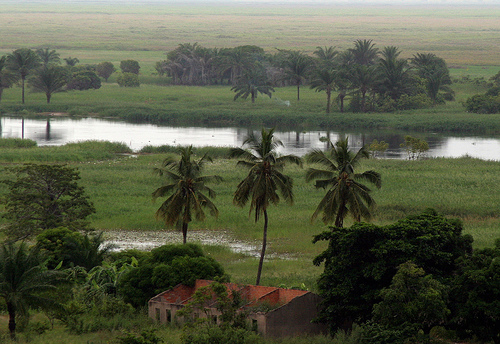 I didn't consider the destination logistics or the realities of postal deliveries in a war torn and healing Angola. Luckily Tom had considered this dilema and called up a Stateside friend willing to deliver them in exchange for fishing adventure. They've been sent to Florida for hand delivery in Angola, the final destination on their global trip. Where's the adventure going next? What new facet gets worn on this old chunk of coal? Might I be sitting in a bar, where the river meets the sea? Under a Tarpon mount caught with a spinner I made? 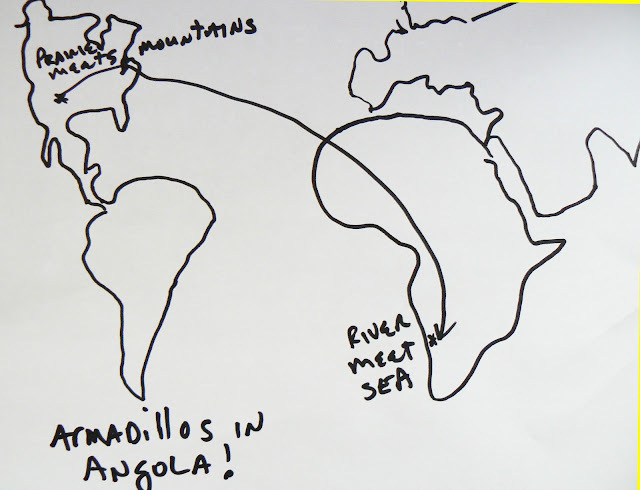 One thing for sure, the Armadillo's are on their way to Angola waters! Stay tuned, this Armadillo adventure is just beginning~!